Wanting to access the growing Africa Energy Market? The Africa Energy Indaba provides the perfect platform to explore business linkages, opportunities and ways to grow your business into the expanding African Energy Market. Africa is fast becoming the ENERGY CONTINENT and business globally and locally is viewing this continent as the next frontier for expansion and business growth. With over 600 million Africans without access to power, the opportunity for growth is huge as private sector investment into the energy sector is critical to ensure power supply to all African people. 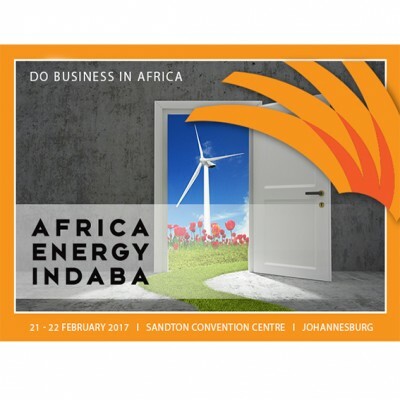 How will the Africa Energy Indaba meet your business growth objectives? New High Priority Renewable Energy Projects will be showcased by African Country Project Owners (Energy Ministries) looking to attract private sector investment, finance, EPC contractors, Developers, etc. Senior energy officials from the various countries will be traveling with the Country Ministries to pitch the Project Investment Propectus for each project opportunity. The Indaba offers a Business Matchmaking Programme whereby you can pre-arrange quality business meetings with the speakers, delegates and exhibitors to the event. This programme is exceptionally successful and ensures you meet the people that can impact your business and who are also the energy decision-makers. 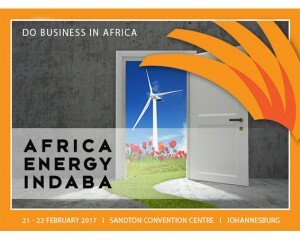 The Indaba is known for attracting CEO and Executive energy decision makers. The Indaba will feature the Africa Power Utilities Roundtable focused on providing energy project opportunities in Africa to the attendees from the people who issue tenders as the Utilities. A focused Independent Power Producer (IPP) and Power Purchase Agreement (PPA) Conference will be held to help understand the dynamics of forming an IPP and then structuring bankable PPAs. The Indaba caters for allied industries to the energy sector, such as manufacturing, infrastructure development, water and agriculture and finance. All of these are crucial in developing Independent Power Project opportunities across the continent. Participants will take part in action-orientated debates and panels, as well as sector-specific breakout sessions and workshops to define concrete actions, explore real business opportunities and establish new business networks. You can participate by exhibiting, sponsoring and registering as a conference delegate! Have you registered to take part?